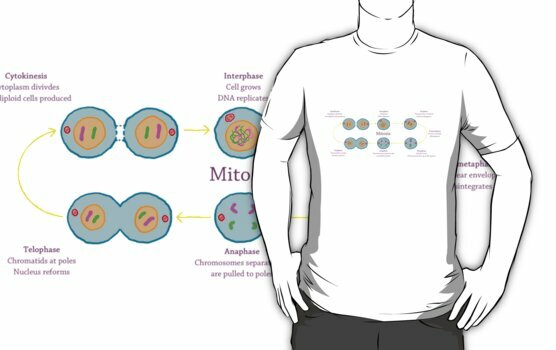 I found this great Mitosis T-Shirt online, and ordered it ASAP. It arrived today and is fantastic ! You can also make your own designs and upload them. I’m hoping to do this for some of our cell artwork, so stay tuned. This entry was posted in Info, News and tagged Mitosis, Science fashion, T-Shirt.